What do we know about HQ2 and Arlington’s Bid? 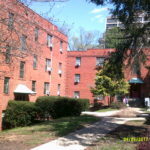 The Arlington County Government affirmed on May 16 that it prefers demolition of 70-year old apartments and their greenspace to their preservation. Their news to Arlington renters and historians: drop dead. The county Historic Affairs Landmark Review (HALRB) Board at the urging of the county staff and manager (and presumably the county board) voted in May to allow the bulldozers to continue to operate in Westover for at least another year. On May 16, the HALRB refused to designate any of the over 700 units as historic, and instead voted to postpone any action on the historic petition for eight months or more. 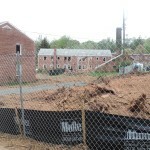 During 2016-18, a developer demolished garden-apartment buildings with about 100 moderate-cost rental apartments, and the county government refused to do anything to stop the destruction even though it accepts that these apartments are historically significant and contribute the largest number of affordable market-rate rental apartments in any North Arlington neighborhood. 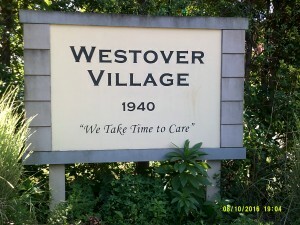 Arlington Greens along with 160 Arlington residents filed a historic preservation petition with Arlington County in June 2016, and the county then began a historic study of historic Westover Village. Then over the next two years, the HALRB held two hearings, and in addition there were a half-dozen other community meetings over Westover historic preservation. Meanwhile, the county professional historic staff who were supposed to prepare a detailed architectural and planning study and inventory of existing historic buildings did nothing. Now, two years later in May 2018, the HALRB voted to defer any decision for another at least 8 months until the county government implements another ordinance called Housing Conservation District, a novel and new idea never actually tried. The HCD has no legal relation to anything the HALRB is charged with doing under state historic law and county ordinance. The county staff and board exhibit a bias against keeping older garden apartments in Arlington, and instead favor high rise development including infill in Westover. 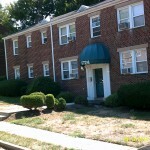 The county government believes that historic preservation and moderate income apartments are incompatible despite the example in Arlington of two other large historic garden-apartment complexes with many moderate income units, Colonial Village (since 1978) and Buckingham (1980s). Both complexes contain a mix of moderate cost rental units and condos and a mix of income and ethnic groups. Why not in Westover in a historic district? Does every neighborhood have to look like Ballston? The county board’s bias in favor of developers and against current residents is very clear: build very expensive high rise apartment buildings and demolish existing low rise garden units that house renters. The failed policy of building new subsidized units as affordable housing results from the very high cost of such new units (well over $400,000 each) that then can only be rented to a favored few (generally below 300 households a year) who also generally must earn above $60,000 a year. Lower income renters are virtually all excluded and denied any housing assistance to rent in high cost Arlington. Preserving existing units in Westover built 70 years ago that have been updated and are generally in good condition but smaller and without the bells and whistles of new units (but also much lower in cost) is a proven way to keep some market-rate, unsubsidized apartments in high cost Arlington which continues to drive away its working income renters. Plan to attend and speak in favor of local historic designation of Westover Village apartments; local designation would prevent demolition of existing market-rate apartment buildings. In the past three years, 11 buildings with 100 apartments were demolished or scheduled for demolition. In their place are now towering million dollar townhouses surrounded by pavement. Save our neighborhood and trees and green space and our neighbors who are moderate income renters who have lived here since 1940. Arlington must have a place for moderate income renters and not become a place just for the rich. The county board continued its wasteful policy of throwing public money to developers when it approved on Feb. 22, 2018 about $8 million in local funds for another massive high rise apartment building in Rosslyn, called Queens Court, with another $20 million promised later this year. The project will cost nearly $40 million with this entire amount coming from public sources (the county, VHDA, and HUD). This is yet another example of crony capitalism—building a few apartments fit for a queen and giving the developer an excellent profit. The iron triangle, the affordable housing industrial complex, once again produces a white elephant at public expense and short changes tenants and taxpayers. Arlington County gives tens of millions of dollars annually to developers to build so-called “affordable apartments” that end up not being affordable to the neediest Arlington residents, and mostly just subsidies crony developers and insiders at the expense of taxpayers and low income Arlington renters. 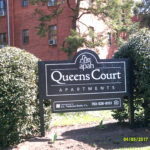 Queens Court is aptly named, a luxury complex fit for a queen and the lucky few, and an immediate $3 million profit maker for the developer. A nonprofit housing developer APAH will tear down the current modest garden apartment complex with 39 units, and build an apartment tower with about 250 units that will mainly (82 percent) go to people earning 60 to 80 percent of the of the area median income (AMI) ($60,000 to 80,000 for a family of four). Exactly 9 units will be rented to the lowest income Arlington residents, those making less than 40 percent AMI ($33,000 for a single or $38,000 for a couple). The Queen units will cost $440,000 each, a ridiculously high amount compared to the large number of condos available for sale for less. Zillow.com listed 199 condos and townhouses for sale in Arlington in April 2018 for under $440,000, many well under $300,000. Right across the street from Queen Courts is the Crestwood Apartments with 63 units valued at only $230,000 per apartment. Why not just buy the Crestwood Apartments for its 2018 tax assessed value of $15 million? Only in Arlington would anyone consider $440,000 apartments rented to people mostly making over $60,000 a year as “low income housing.” Somebody earning $60,000 to $80,000 a year is not low income by any standard even in Arlington. Those who are low income of those earning below 50% AMI. There are now 9,000 households earning less than 50% AMI in Arlington who get no housing assistance at all today. Only 45 units in Queens Court are going to be rented to any of these 9,000 households. Far more effective are the county’s housing (rental) grants that currently help about 1,200 households of seniors, disabled and families with a child with a monthly housing grant that reduces their rental cost. The program spends about $9 million annually. All of these renters have incomes well below $27,000 a year (30 percent AMI). Arlington Greens have repeatedly asked the county government to allocate far more of its $38 million in housing assistance to housing (rental) grants. If the county had allocated the $28 million to be spent on Queens Court to housing grants of even $300 a month, then about 7,000 households—all earning under 50% AMI–would have benefitted. Instead 250 households with incomes above $60,000 get to rent a new queen apartment in Rosslyn. On December 19, 2017, the Arlington County Board voted unanimously to eliminate the right of all Arlington citizens to nominate a neighborhood or group of buildings for consideration for local historic preservation. The Board bowed to pressure from investors and developers seeking to profit by bulldozing older apartments and detached houses in Arlington. County staff are angered that Arlington citizens have asked for protection of local historic districts and buildings, particularly in Westover, and wanted to effectively block citizens from petitioning the local government to protect whole neighborhoods or apartment complexes like Westover Village. Under the new county rules, only civic associations, condo boards or homeowner associations may ask for historic preservation for multiple properties or a homeowner who obtains at least 25 percent of other property owners’ permission. Tenants have no rights at all. In the past, only a few civic associations have ever asked for historic preservation and often have opposed it owing to developers and investors greed in demolition. Tenant associations and historic groups can no longer petition for historic status. 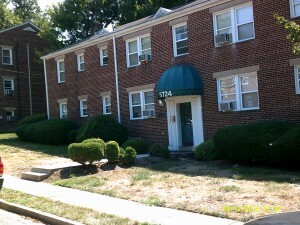 The first neighborhood protected in Arlington was the Colonial Village in 1980 with a petition from the tenants association. Colonial Village today is a mix of lower income and moderate income tenants and condo associations living in a garden-like area with mature trees, green space, adjacent to the Courthouse Metro. The latest government elimination of citizens’ rights to petition their local government resulted from the Arlington Greens and local tenants asking for historic protection of Westover Village apartment buildings in 2016. An investor has already demolished nearly 100 apartment units that were moderate income rentals, and built luxury townhouses costing over $800,000 for rich people. There are another over 300 units at risk of demolition. 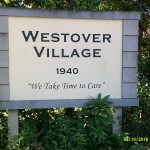 The Westover Village was designated as a national historic district in 2006, owing to its distinct WWII architecture and style from the 1940s. The county board on a unanimous vote showed its true colors: protect developers, investors and absentee property owners to the neglect of tenants, neighbors, and historians. Dollars trump human rights to affordable housing and preserved older neighborhoods. The Arlington County Board in 2013 adopted a Community Energy Plan (CEP) to reduce greenhouse gas emissions (GHG) in Arlington by 75 percent within roughly 30 years, but the recommended policy measures were never put into effect. Nearly 80 percent of Arlington GHG comes from buildings, and therefore, the first CEP goal was to tighten building codes for new and remodeled buildings, This never occurred as these codes are set by a Virginia statewide board that has refused to tighten energy standards on new construction. The second goal of the Arlington plan was a district energy plan of co-generation power plants and that never into practice owing to opposition from private companies including Dominion Power. Somewhat paradoxically, GHG in Arlington did decline by about 18 percent, according to the county, during 2007-15 because Dominion Power used more natural gas and less coal to produce electricity, and because of about one-fifth of Arlington office space becoming vacant, thus cutting energy use in commerce. However, residential use of energy in Arlington rose as larger and more energy inefficient homes and apartments were built, and as the population rose by 14 percent during 2000-15. Arlington County cannot require builders to meet tighter building standards but rather depends on the Virginia Board of Housing and Community Development’s building code. The CEP indicated in 2013 that if this state board adopted a tougher International Energy Conservation Code (IECC) in Virginia, then Arlington building efficiency would rise about 30 percent. The state board never tightened the code. Now in 2017, the state board is considering the adoption of the 2015 IECC that would likely mean an energy savings of slightly considerably over 30 percent above the current weaker version of the 2012 code. It is therefore imperative that Arlington obtain adoption of the full 2015 IECC that would mean that new buildings would likely be about 30 more efficient per square foot than currently. In early June 2017, the Arlington County Board pledged adherence to the Paris Accord on Climate Change (despite president Trump’s withdrawal), and indicated that the Arlington 2013 Community Energy Plan (CEP) goal to reduce greenhouse gas emissions (GHG) in Arlington by 75 percent within roughly 30 years would make the Paris accord possible in the county. Unfortunately, the Arlington County Board adopted the CEP four years ago in 2013, but never implemented the main policy measures to meet the goals set in the plan, and energy use–mainly electricity continues to rise. Energy use in Arlington, particularly of electricity, has continued to increase over the past 17 years, and there has been no paradigm shift to energy-savings building design particularly in the new and larger houses. Energy use in residential and commercial buildings accounted for about 79 percent of Arlington GHG in recent years (transportation for the remainder). Since 2000, total electricity use in Arlington rose by 14 percent led by a 45-percent rise in residential use, according to utility data provided by Arlington County. Commercial use of electricity peaked in 2007, and declined by 11 percent during 2007-15 as about 20-percent of office space became empty, and the recession took hold. Higher residential use of electricity and natural gas can be traced to about 14-percent more Arlington residents, and tear downs of older detached houses and replacement by larger wasteful McMansions. 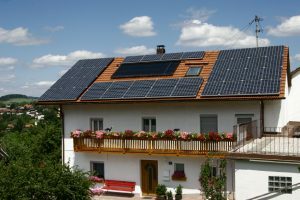 Larger square footage in a home is directly related to energy use unless extraordinary energy-savings technology is introduced. The residential population in Arlington rose by about 14 percent to 216 million during 2000-15. Total use of natural gas in Arlington did fall about 28 percent during 2000-15 as commercial buildings used much less, but natural gas use in residences rose by 4 percent during 2000-15. Warmer winter temperatures have curbed natural gas use for heating, and the nearly 20-percent office vacancy rate in 2015 reduced the need to heat offices. 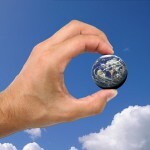 However, as vacant office space is rented in the future, energy use in commerce will rise. The county government has failed to bring into effect the two main goals set in the 2013 Community Energy Plan–much tighter new building standards and co-generation of electricity. Without these measures, the county will never be able to reach the goal of a 75-percent reduction in carbon emissions in the county. $5.01 per square foot above 1.0 FAR in commercial. Unfortunately, this ordinance was not tightly written nor do the constructions costs written into the 2005 ordinance based on market conditions existing 12 years ago reflect costs today even though the costs in the ordinance are indexed (based on the Consumer Price Index in the Washington, D.C. region). Over the 12 years of the ordinance, developers choose largely to not provide new affordable units on site, but rather pay the modest fee above that amounts to a portion of the actual cost of the new apartment. During 2005-October 2014 (about 10 1/2 years), developers only provided 11percent of required units on site (30 units of the required 295 units), and instead paid a rather modest fee of $137,000 per unit, far below the cost of adding a new unit offsite. These fees were added to the AHIF (Affordable Housing Investment Fund). The county board should increase the required fees under the ordinance to reflect the actual contemporary cost of a new apartment which is at least $350,000 per new unit. A developer should pay a fee of at least $350,000 per unit or provide a unit on site. A fee of $350,000 paid per unit would generate an estimated $7 million more annually for the housing program. Developers exacerbate the problem of rising rents in our community by their activities, and it is fair to shift some of the tax burden of housing assistance programs to them rather than to only general taxpayers. During 2005-October 2014, a total 295 additional units were approved under this ordinance, of which only 30 units were located in the new developments, whereas developers choose to pay a fee for the 265 units not provided in the new developments. Thus, this ordinance applied to an average 30 new units per year. These fees yielded only $36.2 million during the 10 years or $3.6 million annually, the equivalent of $137,000 per new additional apartment. These funds were simply added to the AHIF. These Affordable Housing Ordinance fees cited above should be tripled on a square footage basis. This would be expected to increase the average fee received per unit from the current $137,000 to $350,000. With a fee paid of $350,000 per unit for 30 units, the county would likely receive $10.5 million annually, an increase of $6.9 million a year from the current $3.6 million. This entire additional $6.9 million annually should be placed in the housing grants fund.